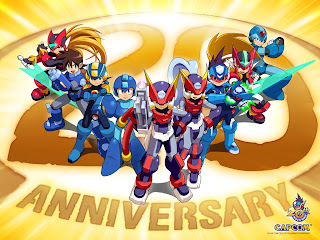 Mega Man celebrates his 25th anniversary this year. While Capcom commemorates the occasion with a whimper and not a bang, Mega's fans are there to pick up the slack, despite their deep depression when they finally came to the realization that Capcom no longer really cares about the blue bomber. 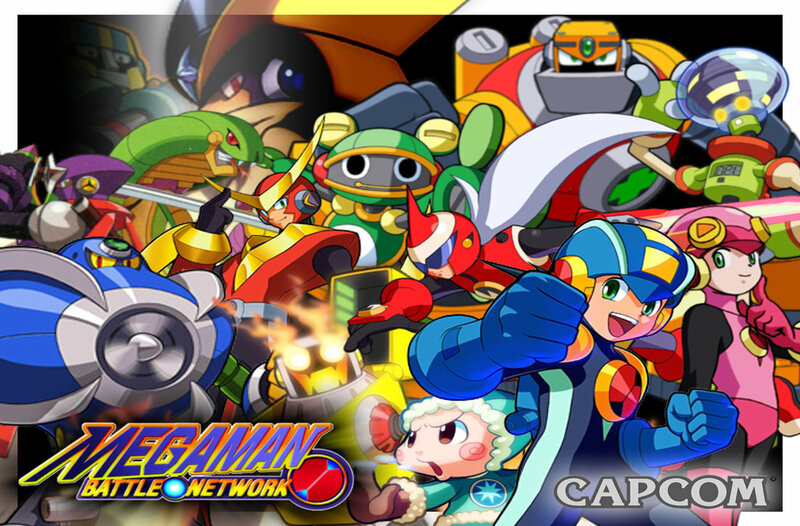 As of the end of 2012, the Mega Man series (and its various spinoffs) have sold over 29 million copies worldwide. Now, to be fair, it is pretty hard not to sell that many copies when only a few years ago you couldn't turn around without seeing a new Mega Man game on store shelves. 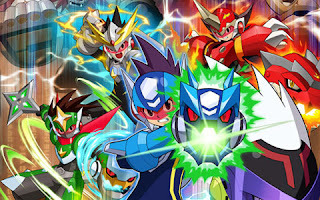 Mega Man Star Force as a series isn't necessarily bad, but the reason I don't really care for it is because it's essentially just Mega Man Battle Network with an over-the-shoulder point of view and dumbed down mechanics. I mean, didn't we just already have six similar titles already with Mega Man Battle Networks 1-6? Did we really need more of the same just on a new handheld platform? The same gameplay with less complexity, the same exploration with few changes, and the same battle mechanics but using Battle Cards instead of Battle Chips? Apparently not as sales spoke loudly. The series was put on hiatus after three successive middling titles in a row on the Nintendo DS (and various versions like a mainline Pokemon game). Regardless, like I said, the Mega Man Star Force series is not particularly awful. It is just uninspired compared to past Mega Man series. 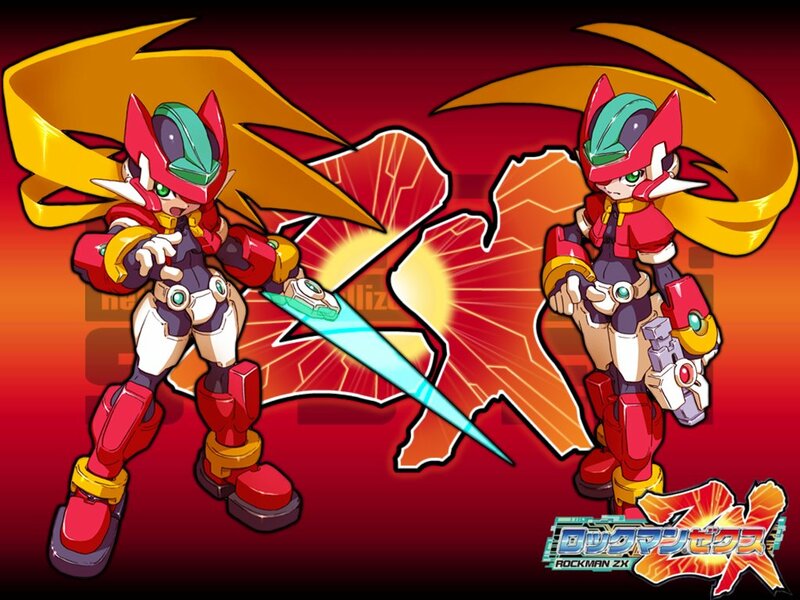 Taking place two hundred years after the finish of the Mega Man Zero series, Mega Man ZX brings for the first time the ability to choose between a male or a female hero. Through acquiring Biometals, players can change forms. Model H allows for the ability to air dash up, down, left or right, hover, and utilize two blades to assault enemies while Model L grants its wearer the powers of swift swimming and dashing underwater. Mega Man ZX has an open world map, though the first game in the series had an immensely confusing world map. Mega Man ZX Advent, the sequel, fixed this problem. It also added the ability to turn into defeated bosses and use the range of their powers to advance to new sections of the game, like greater eyesight in dark areas and increased underwater functionality. ZX Advent, unlike ZX, had a full English voice cast which added to the perceived value of the game. Both are capable Mega Man titles, but the backtracking and challenge might put some players off. Although there have been only three games in this spinoff series, two mainline games and a Tron Bonne side story, Mega Man Legends is one of Capcom's most requested games that fans clamor that they want a sequel from. Like pouring out a canteen of water in front of a man dying of thirst, Capcom shamelessly and cold-heartedly cancelled any further development of Mega Man Legends 3, a much-desired and anticipated game bound for the Nintendo 3DS, even after asking for fan input at multiple moments. This announcing from out of nowhere sent a ton of negative publicity and criticism to Capcom. There's even a (futile) Facebook campaign to resume development of the game. Regardless, unlike the majority of other Mega Man games, Legends was played in a fully three-dimensional world. Players assumed the role of a Digger named Mega Man Volnut in a world flooded by water. 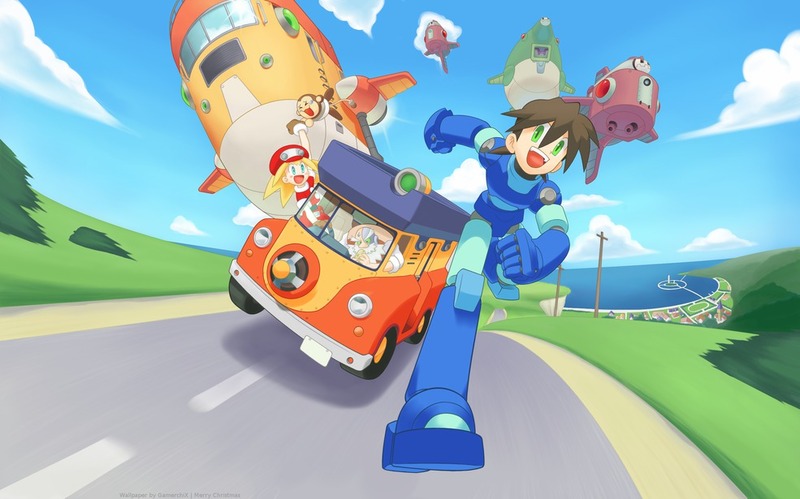 The Mega Man Legends series was originally made to show off the 3D capabilities of the PlayStation 1. It did that, but the game suffered by the lack of a second analog stick. I find going back to the game difficult as the combat is rather clunky, making it artificially challenging because of the controls. Ten years ago Mega Man Battle Network premiered on the Game Boy Advance in an attempt for Capcom to bring some role-playing game elements into the Mega Man series. Six games, an anime, and various spinoff titles later and you have a competent and addicting action-RPG full of collecting chips and defeating evil Net Navis, most of which based off Robot Masters from the Classic series. Players take on two roles during the game: while exploring the real world players control an elementary school student named Lan. When he connects to the Internet, players control his Net Navi, MegaMan.EXE. Lan's gameplay was mostly typical RPG fare -- moving around destinations and conversing with the locals. He could jack into numerous Internet-ready and electronic devices where MegaMan.EXE could explore, finding items and collectible chips, and battling computer viruses. Many times in the games MegaMan.EXE could help Lan advance. For example, if a floor was electrified in Lan's world, MegaMan.EXE could find a switch on the Internet to shut it down. Battles had the blue bomber moving across a 3X3 battlefield, having the player select from a random selection of attack chips, and using them on the various viruses Mega came across. I enjoyed mastering each game, but the spinoff series became a victim of sequelitis and many of these were too samey for my liking. What I would consider the hardest of the Mega Man line of games, Mega Man Zero is a series that quite obviously stars Zero. It is set many moons after the events of the Mega Man X franchise and begins with a girl named Ciel awakening a hibernating Zero. The story involves a resistance putting up a fight against a xenophobic Neo Arcadia. Throughout the plot and the Mega Man series as a whole, the common thread is if humans and robots can coexist. On an interesting note, Mega Man Zero marks the first time a Mega Man series has had a definitive conclusion. As for the gameplay, it isn't that much of a dramatic departure of the Classic and X series. It's your standard run and gun, but this time Zero's performance is critiqued at the end of each mission based on time completed, damage taken, and Cyber Elves used. Scoring excellent ranks gives Zero new abilities. 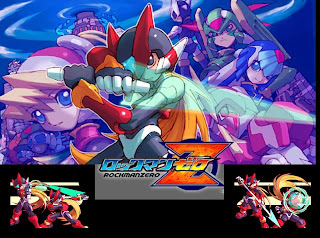 Although the scoring system is pretty harsh (once you get a C, it's pretty hard to push it up to an A over the course of the game), the Mega Man Zero series actively rewards players for continuing to work hard and strive to be better. If you don't wish to track down all four original Game Boy Advance carts, you can grab the Mega Man Zero Collection on the Nintendo DS which has the series on one game card with extras, an easy mode, and the ability to play through all four games consecutively. Most definitely the Mega Man series that I like the gameplay most out of any other, Mega Man X continues the tale of the Classic franchise and gives it a darker theme and more complex story with Reploids raging war and lives being lost. 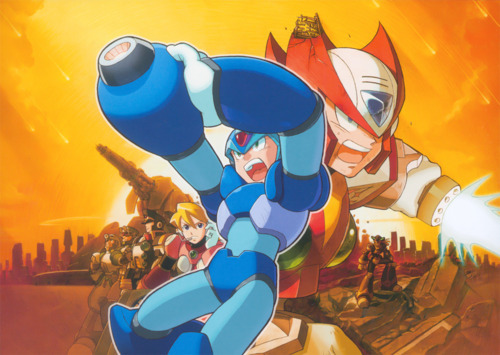 Mega Man X was a character who had much more mobility than his predecessor. He could climb walls, charge his X-buster (as well as the weapons he picked up from defeated Maverick bosses), dash, and even equip upgrades from hidden away capsules by Dr. Light. Such helpful benefits from the good doctor could be a midair dash, the ability to headbutt blocks, armor that provided double the defensive capabilities, and charged shot upgrades. Instead of Robot Masters, animal and object-themed Mavericks took residence in each game's eight primary levels. 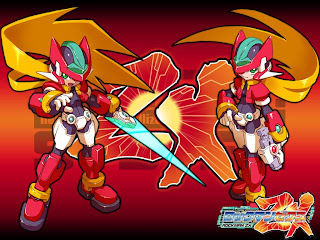 The X games also possessed a lot of secret goodies to uncover such as the aforementioned Dr. Light capsules, health-increasing Heart Tanks, and Sub Tanks that allowed X, Zero or later Axl to restore their health in battle. 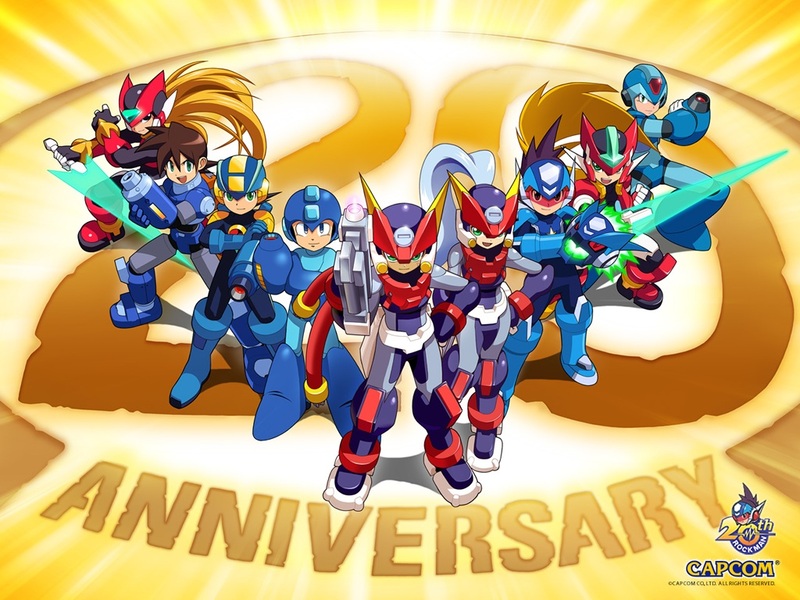 Later Mega Man X games experimented with 2 1/2D and 3D gameplay to varying degrees of success. My mind was a battle zone between thoughts of Mega Man X prevailing and Classic Mega Man being listed as number one. While I do enjoy the gameplay of X over the Classic series, there really hasn't been a stinker in the mainline Classic Mega Man games while there has been with the Mega Man X games (notably Mega Man X6 and X7). The original Mega Man was an incredibly novel experience. 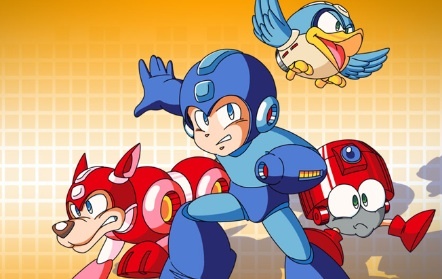 Instead of playing through a linear order of levels, players are allowed to choose from one of six Robot Masters (all future installments would provide a choice of eight). Each Robot Master has its own weakness. By defeating the boss in a given stage, Mega Man would acquire their signature weapon to use in the other levels. For instance, Elec Man has a huge weakness against Cut Man's Rolling Cutter weapon. It would take much fewer Rolling Cutter attacks to defeat Elec Man than any other weapon. (In fact, the other Robot Master weapons would hardly put up much of a fight at all.) This rock-paper-scissors type gameplay makes the strategy of playing the levels in the correct order all the more important. Of course, expert players can opt to play through the game's levels in any order they want for added challenge. Even Mega Buster-only, Mega's primary weapon, runs are commonplace. The Mega Man series had a bit of a renaissance several years ago when Inti Creates developed a bit of a retro revival of the Classic games, releasing Mega Man 9 and later on Mega Man 10 on digital platforms. The games returned to the 8-bit style of the first six Mega Man titles (7 and 8 were more modern takes on the franchise). Are you a fan of Mega Man? What are you favorite Mega Man franchises/spinoffs? What do you think of Capcom's treatment of the franchise in recent years? Let the SPC community know in the comments section.